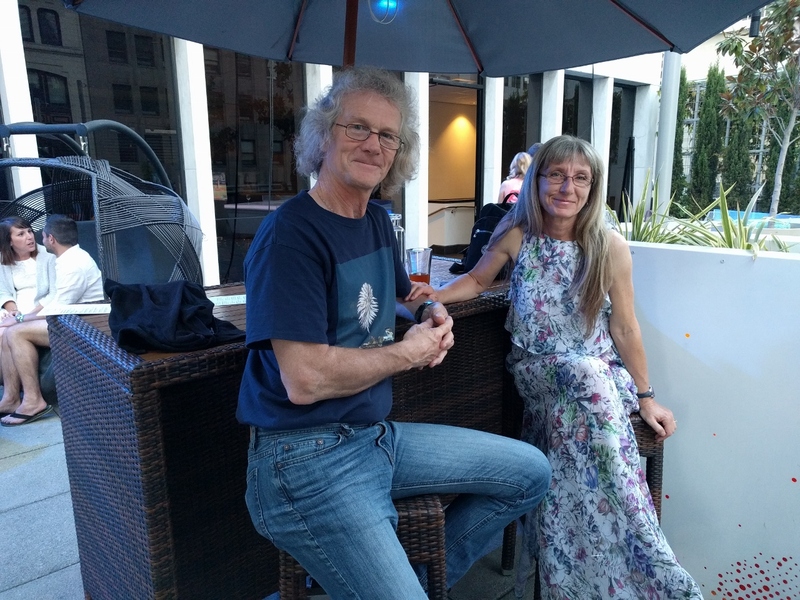 We left Dirona in Scotland, with Spitfire at “The Resort”, while we returned to Seattle for a couple of weeks. This mostly was a work trip for James, but we did find time to enjoy the city, make a day trip to Victoria, and receive and pack over 200 pounds of boat spares to bring back with us. 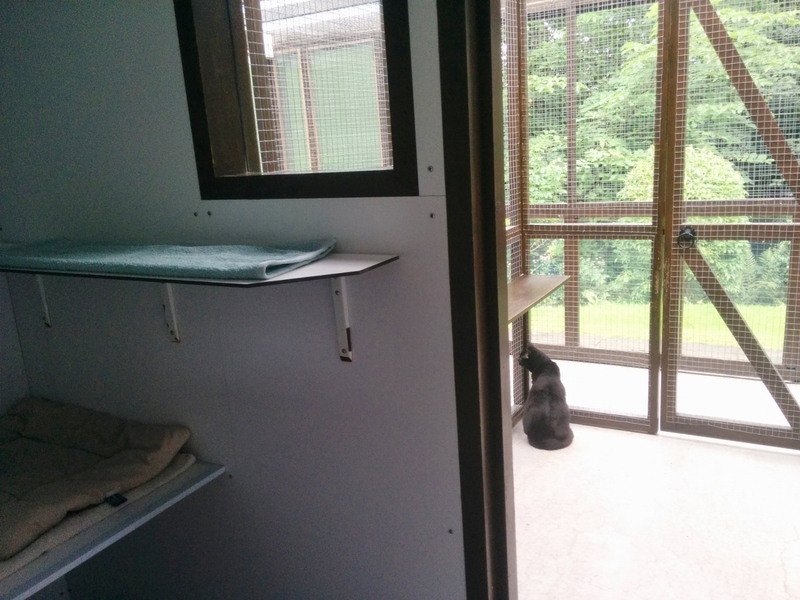 Spitfire at “The Resort”, checking out the view from what the Lochermill Boarding Cattery calls his chalet. He’ll be there for two weeks while we return to Seattle. We hate leaving the little feller behind, but he’s in as nice a place as we could imagine. His chalet has an indoor and an outdoor section with places to tuck away and shelves to sit on for a view. Lochermill even had his name on the door when we arrived to drop him off. 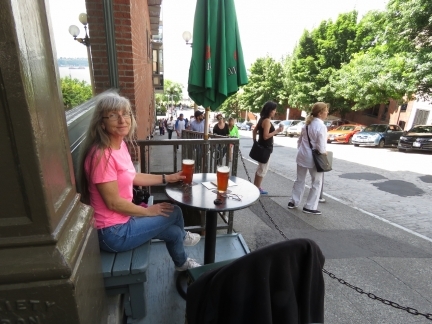 A pint at our favorite seat at the Virginia Inn with a view down Virginia Street to Pike Place Market and the water traffic in Elliott Bay. 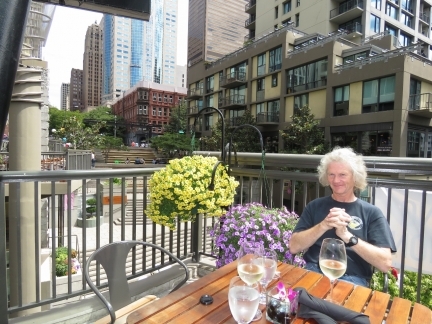 We came across this great patio at Noi Thai and stopped in for a delicious lunch. Our home port at Bell Harbor Marina in downtown Seattle. Dirona was moored at the end of the pier in the foreground on the left, where that large white powerboat is. Potatoes ready to load onto the cruise ship Norwegian Pearl moored at Pier 66 adjacent to Bell Harbor Marina. 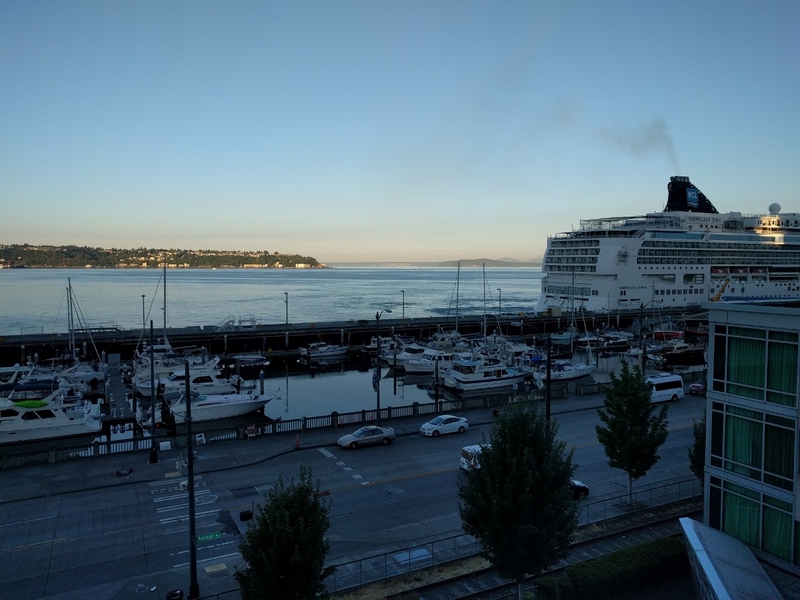 We used to love watching the cruise ships arrive at 6am each Friday, Saturday and Sunday morning and depart at 4pm that afternoon. 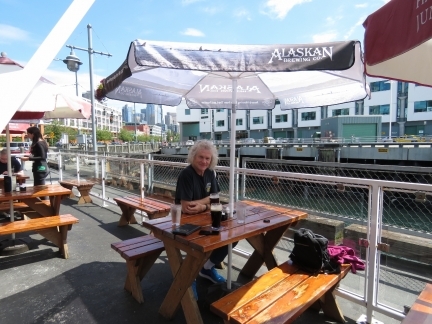 We stopped off at Paddy Coyne’s Irish Bar on Pier 70 for a relaxing beer on their outside deck with a view to Elliott Bay. James hadn’t been in Paddy Coyne’s for years, but owner remembered him and came by to say hello. 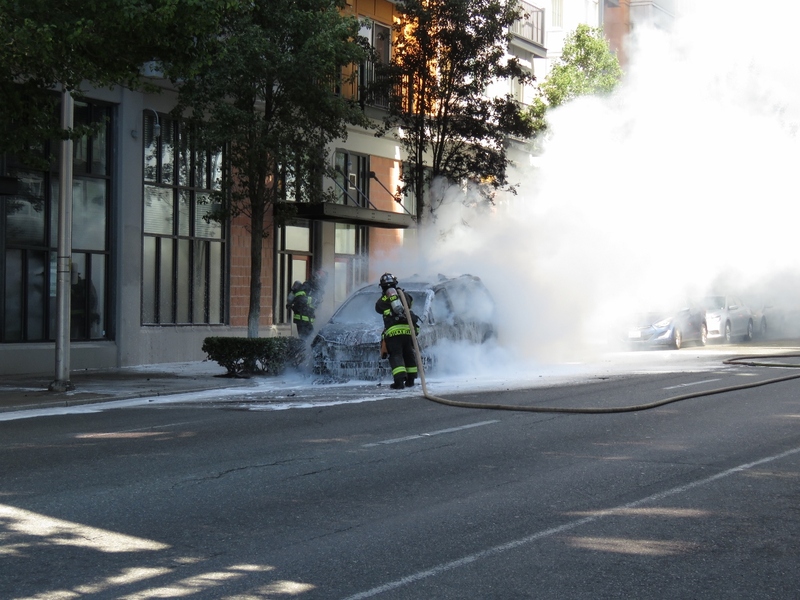 Firefighters were putting out a big car fire on Western Avenue as we walked past. There wasn’t much left of the vehicle. Dinner on the patio at Belltown Pizza, another one of our favorite Seattle haunts. 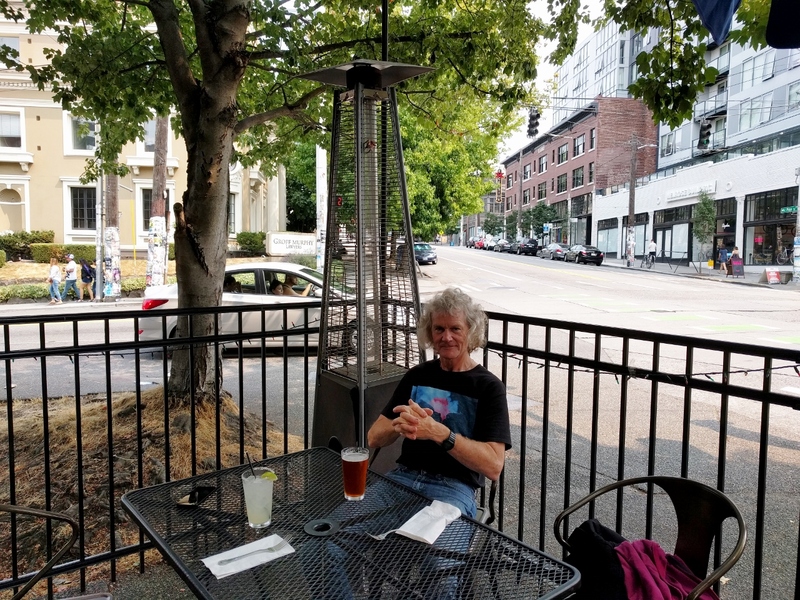 The summer weather in Seattle is wonderful. We have a UPS box that any surface mail goes to. And whenever we return to the US, we pre-order whatever parts we need and bring them back in our luggage. 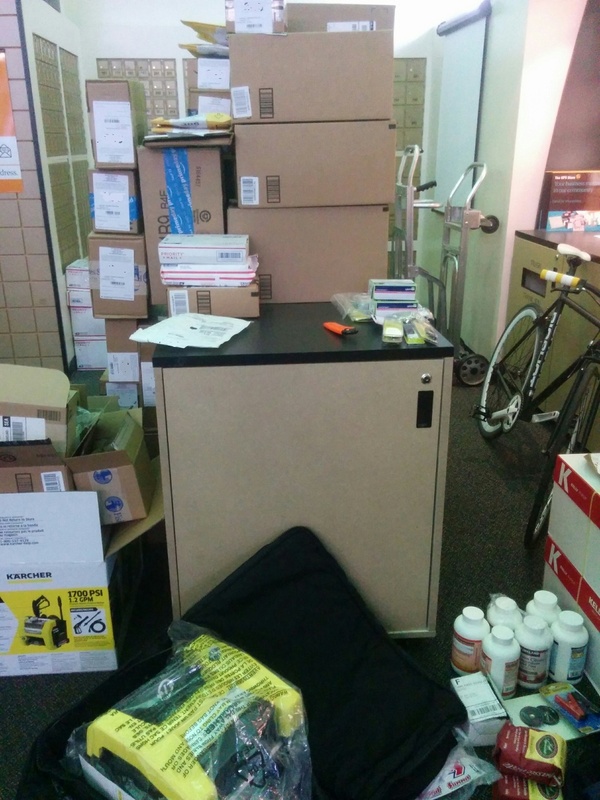 We picked up 187 pounds of gear from our UPS box today, and another 20 pounds arrived the following week. 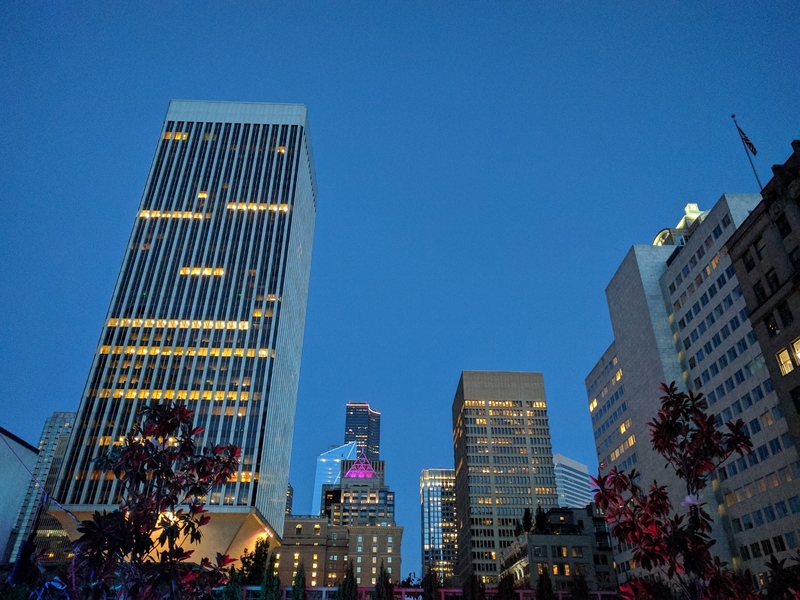 Enjoying a drink on the rooftop patio at Frolik in downtown Seattle. 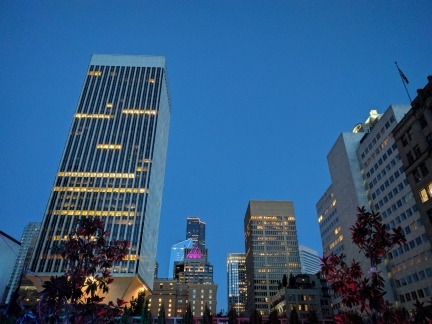 The amazing Seattle skyline view from the rooftop patio at Frolik. We took an early morning Victoria Clipper ferry to visit family in Victoria. A cruise ship had just pulled into Pier 66 at about 6:30 this morning. 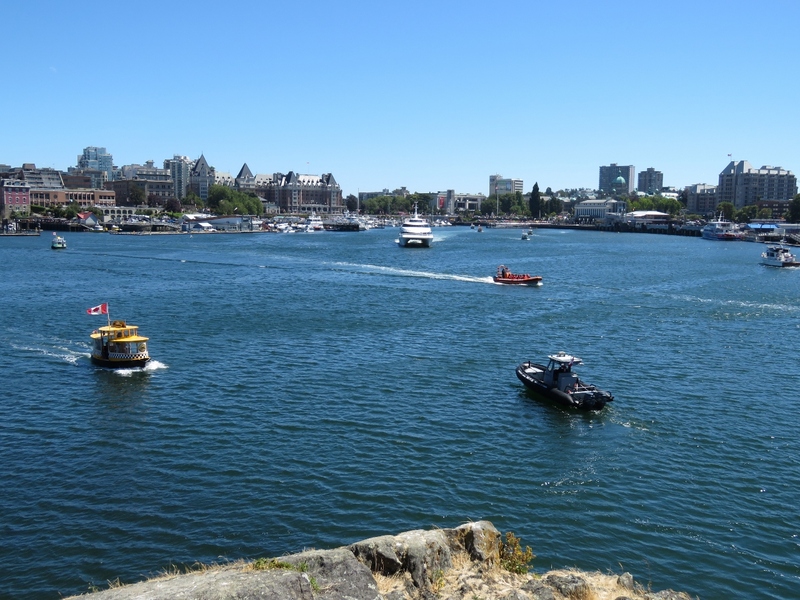 Looking southeast toward the head of busy Victoria Inner Harbour on a walk to have lunch at Spinnakers brew pub. We returned to Seattle that afternoon on Kenmore Air. 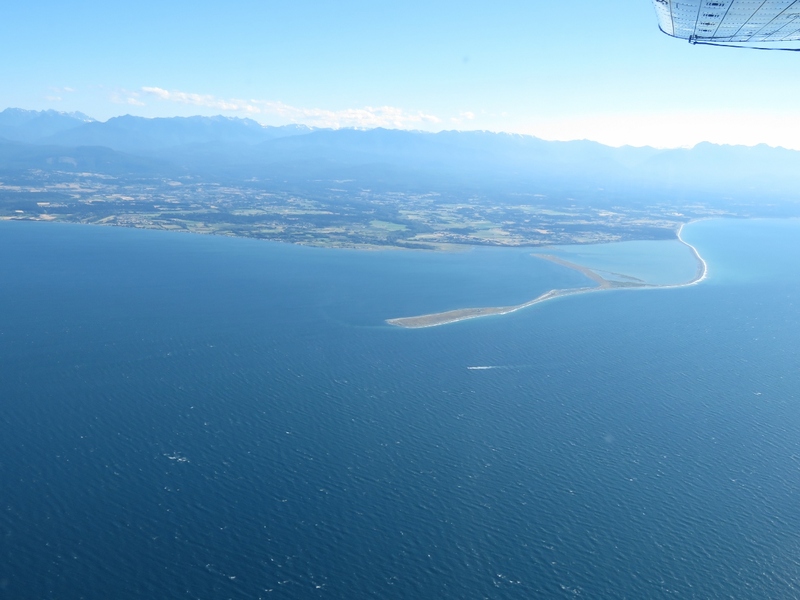 This is the view to Dungeness Spit, just east of Port Angeles, WA. We’ve enjoyed many anchorages at Dungeness Spit, with it’s great view to the shipping traffic in the Strait of Juan de Fuca. 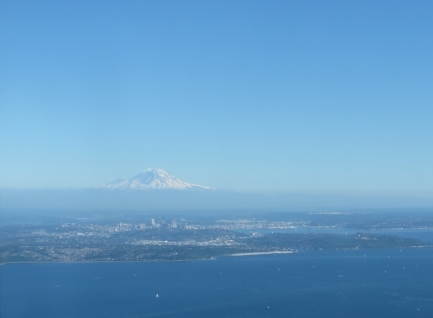 View to Mount Rainier with Seattle in the foreground. 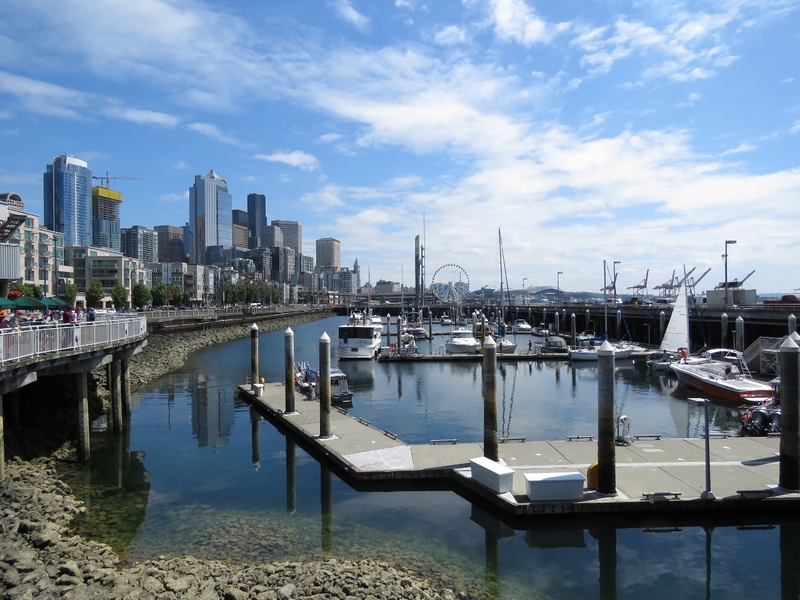 Looking across downtown Seattle toward Lake Union where somehow our pilot will find a place to land among all those boats. 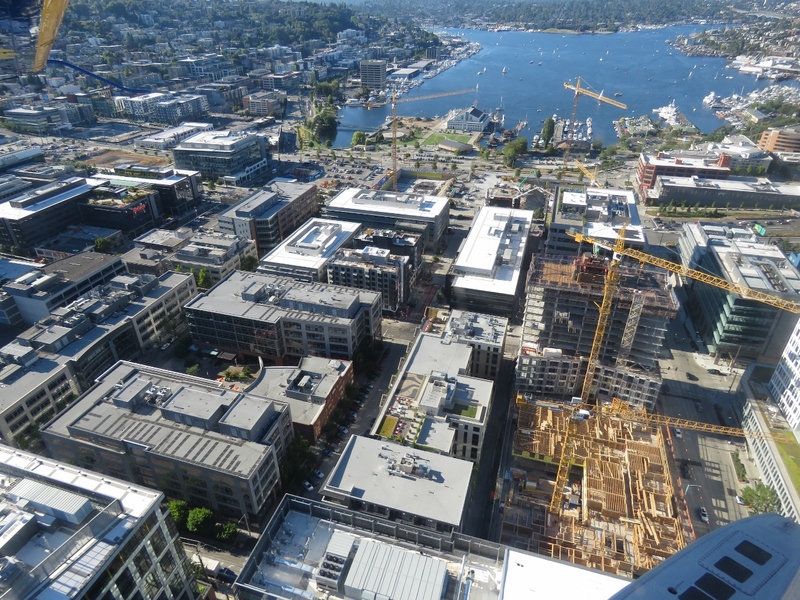 Seattle seems to be perpetually under construction with new office and condominium buildings. We arrived at Chandler’s Crab House on Lake Union just early enough to get a good seat on their patio. 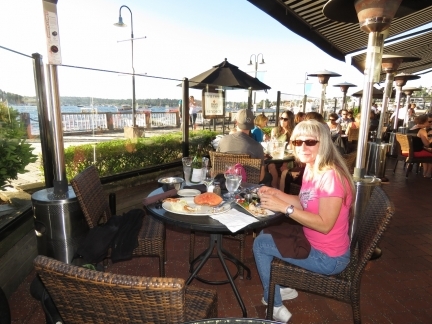 All the tables were filled within a half-hour of our arrival. 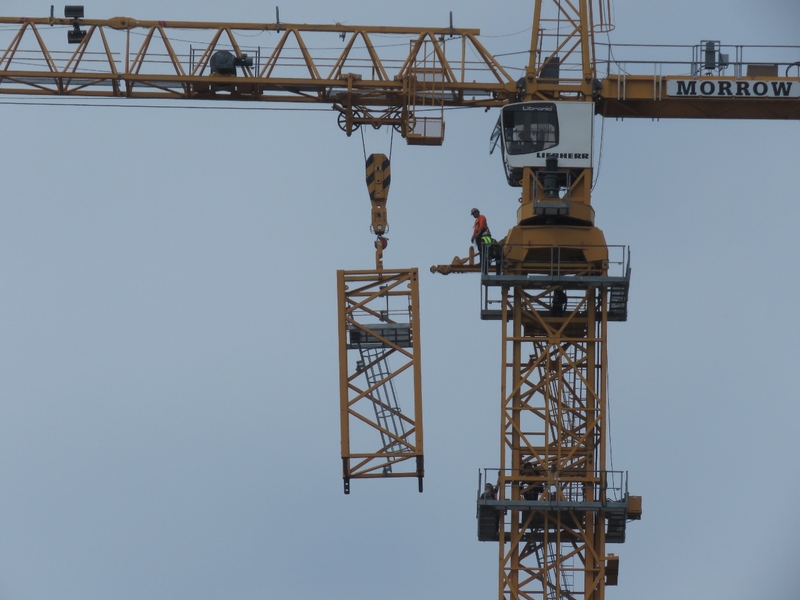 We had a front-row view from our hotel room to workers where self-raising a crane, something we’d never seen before in action. The video at Tower crane #2 rises higher shows a time-lapse video of the entire process. 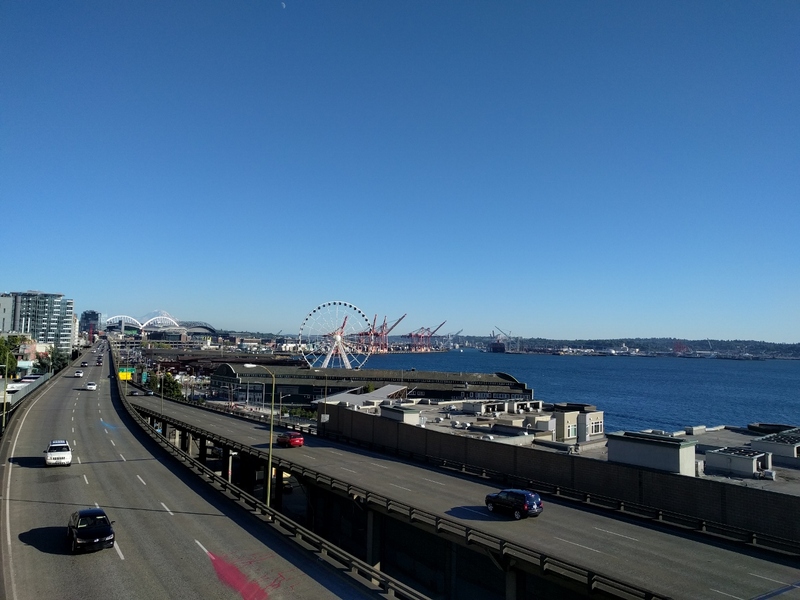 Looking south along the Alaskan Way Viaduct from Victor Steinbrueck park. The Seahawks football and Mariners baseball stadiums are the curved-roof structures in the distance on the left, the Port of Seattle is right of the Seattle Great Wheel, and the Seattle Aquarium is in front of the wheel. 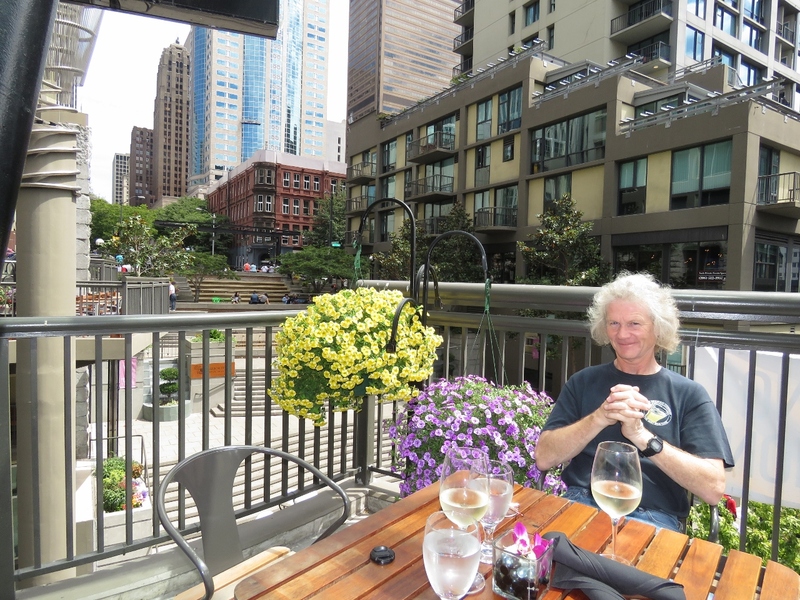 Rob Higgins, president of Robinson helicopter leasing company Higgins Leasing, stopped by Seattle for a visit. 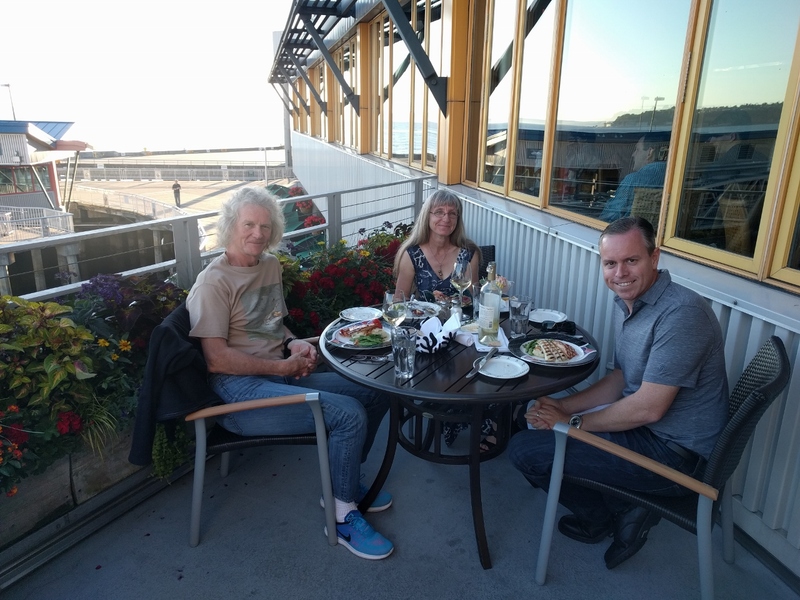 We had a great evening talking boats and helicopters on the deck at Anthony’s Pier 66 restaurant overlooking Bell Harbor Marina. The flower in our latte from Cherry Street Coffee is impressive, but we’re still partial to the shamrock in our Guinness. A Dim Sum “factory” at incredibly popular Din Tai Fung in Pacific Place Mall. 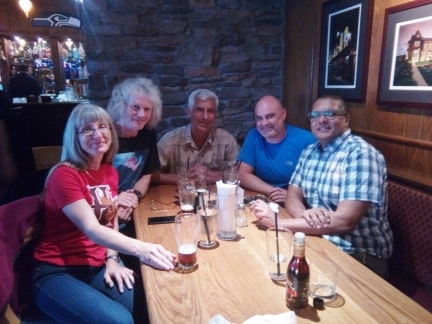 An evening with longtime friends at J Mahoney’s Irish Pub in Redmond. 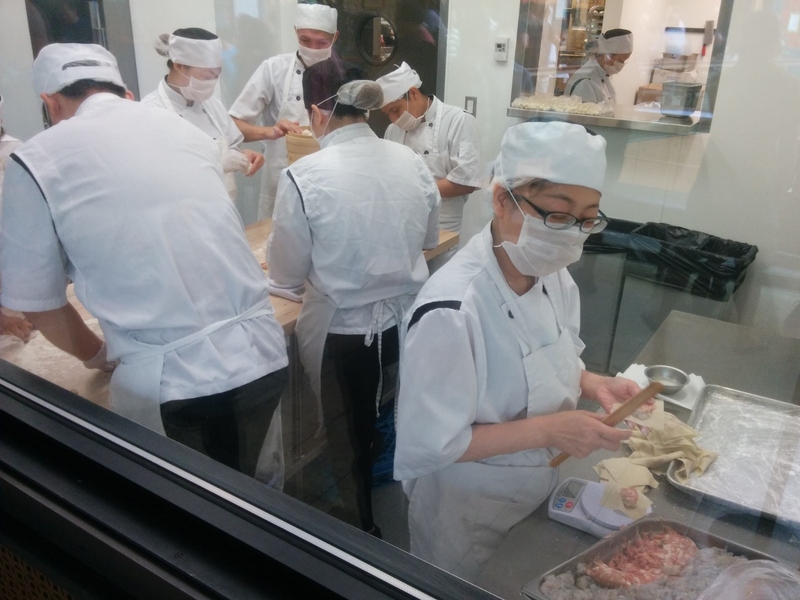 We all worked at the IBM Toronto software lab together in the 1990s, then later all moved to Microsoft in Seattle. It was great to catch up. And the pub had Kilkenny on tap—we only found it once in Ireland. 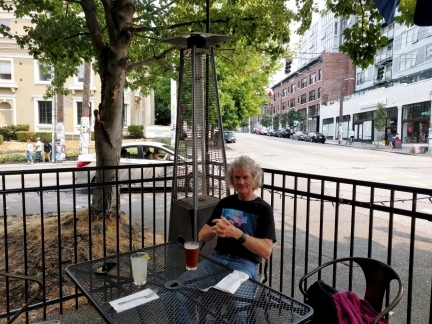 A late and relaxing lunch on the patio at La Cocina Oaxaquena Mexican restaurant in Capitol Hill, Seattle. 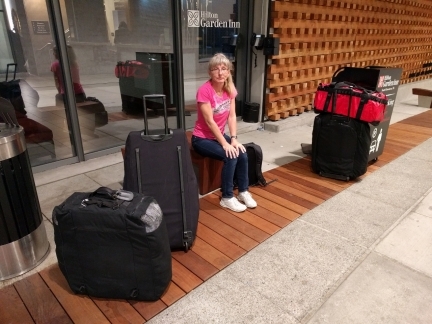 Heading to the airport at just past 6am this morning with our four suitcases stuffed full of spares with a total weight of just over 250 pounds. That was a load to cart around. Fortunately everthing arrived back at Dirona unscathed. 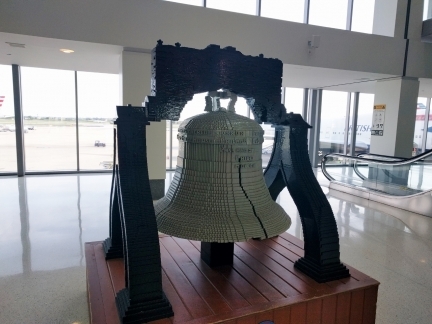 A Liberty Bell made entirely of lego, complete with a crack, at the Philadelphia Airport. We picked up Spitfire as soon as the Lochermill Cattery was open this morning. He had a good stay at “The Resort”, but was very happy to be back home with his people. We sure missed him. The first time I saw a Nordhavn was in Victoria harbor. The 62′ Moonriver. My traveling companions eventually had to come and pry me away from the dock. I’ve been in love with the Nordhavn line every since. Thank you guys for your wonderful contribution to this community and the very best of luck and fair seas to you . I know what you mean Blaine. In my opinion, the 62 remains the best looking boat in the fleet and they are also highly efficient hulls to push. ahoy there, Jennifer & James! warm greetings from ORK! just finished browsing your pics (back to Seattle) especially the “Potatoes” waiting to go on-board the Norwegian Pearl. 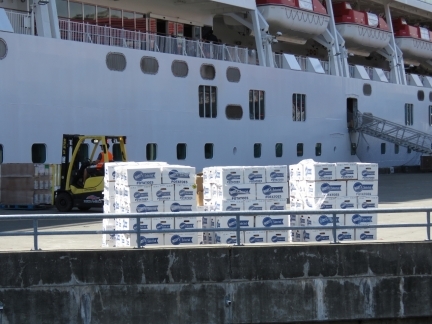 which brings back fond memories when i used to work as a croupier on-board NCL ships doing the Alaskan run, Panama Canal crossing (from Miami to Seattle/Vancouver and back) and much more. likewise when you mentioned Victoria (‘still is’ the capital of British Columbia) i just wonder if the blanket of tulips still blooming near the grounds of the Fairmont Empress (port-o-call during summer of 2001) – but probably a lot of changes now. At present, my second week of becoming a peculiar csa here at the emerald isle. hence looking forward meeting you all (with spitfire?) in case you call-in port in crosshaven. 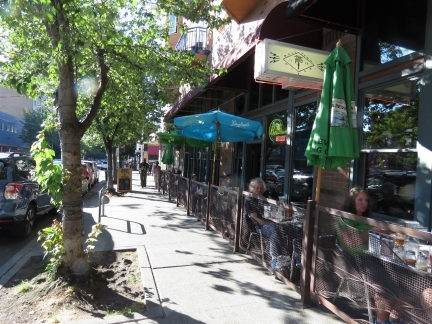 Victoria’s in the Empress Hotel area never changes. The city has grown by vast amounts and changed dramatically since you were there in 2001 but the older and established areas of town never seem to change. We did spend a month or so in your area of Ireland when we first arrived in Europe. 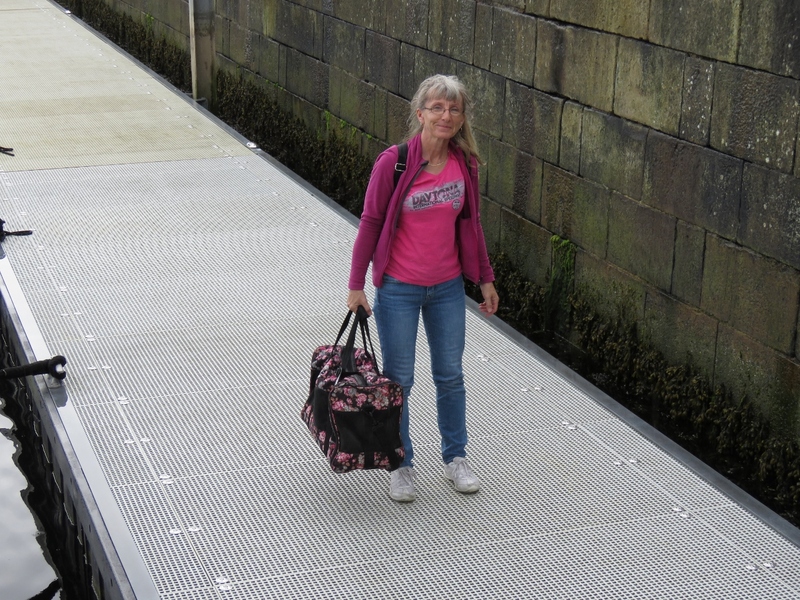 We were in nearby Kinsale and, from there, did a day trip into Cork and had a great time. 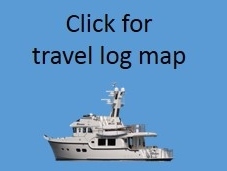 As we head south from Scotland will be heading Isle of Man, Dublin, and the west and south coasts of England. Glad you both had a safe journey home and back. I did notice Amazon was running a bit smoother now. 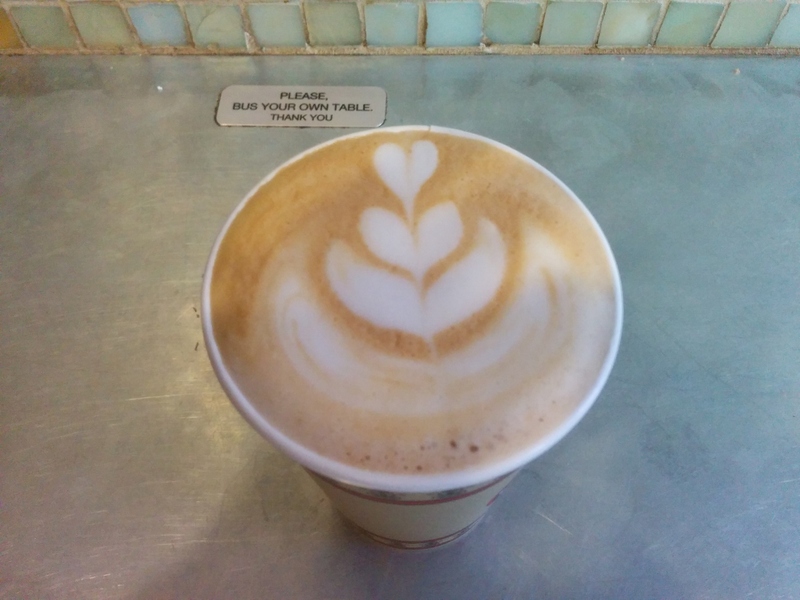 Hope you have some nice adventures in mind. Safe seas! Thanks Stewart. Our plan is the Hebrides and Orkney Island after which we’ll head south to the Caledonian Canal which will be fun and bring us back to the west coast of Scotland.